Does anyone have an ansestry that is 100% free of unsavory characters? I doubt it. If he was so paranoid of that, why sign up for a show that would dig up his “roots”? I like how he lectures us conservatives with condescending conviction yet some obscure relative from a century and a half ago has him whining to edit history. Maybe he can get therapy with his batman payday so he can come to terms with the fact that, like all of us, he doesn’t have a spotless family history. If one will edit history to protect his moral pedestal; should he have a pedestal at all? Once again the truth only matters to them when it supports the narrative they want. A.K.A., the Social Justice Warriors mentality. 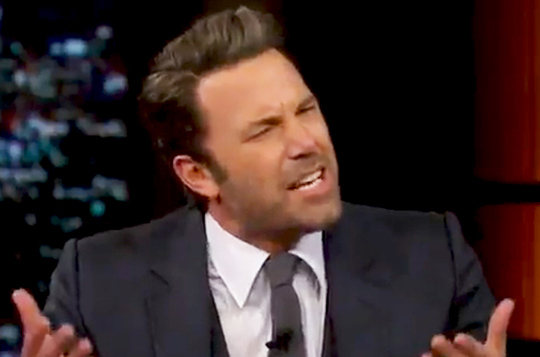 Will Ben pay reparations out of his own pocket to African-Americans whose ancestors were owned (and whipped) by Great-Great-Great-Great-Great Grandfather Affleck? Don’t hold your breath. He may advocate reparations, but he will want them paid for by blue collar taxpayers whose ancestors could not afford shoes, much less slaves.